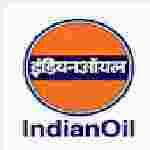 Odisha IOCL Assistant Job recruitment 2016 notification apply for 17 posts : Indian Oil Corporation Limited (IOCL) welcomes the application for the job of 17 Junior engineering Assistant vacancies for schedule tribe categories candidates for in Paradip Refinery.Candidates who completed their Diploma/B.Sc. is a good opportunity.The individuals who are the occupation seekers searching for govt employments in Odisha this is the best chance to apply. Competitors read the official notification then read all the guidelines and miners precisely then apply before the last date online application got. Interested candidates can apply online before 4th July 2016. Govt jobs for Diploma / B.Sc. Candidates Age Limit: The age of the candidate should not be less than 18 years and should not be more than 31 years as on 31st May 2016.Age relaxation of 5 years is given for SC/ST candidates and 3 years is given for OBC candidates. Academic qualification details: Candidates should have 3 year diploma in chemical / refinery and petrochemical engineering / instrumentation / instrumentation and electronics / instrumentation and control engineering or B.Sc. in physics / Math and chemistry or industrial chemistry from a recognized institute / university with minimum 45% marks in aggregate. Official website: All the eligible and interested candidates can apply online through official website of Indian Oil Corporation Limited (IOCL) http://www.iocl.com from 10th June 2016 to 4th July 2016. Process of applying for the job: Send the hard copy of Application print out along with self – attested photocopies of supporting documents to the Indian Oil Corporation Limited (IOCL), Paradip refinery, post box no 145, General post office, Bhubaneswar:- 751001, Odisha on or before 14th July 2016. Note: Here we are giving purpose of interest that are gather from online web look for. so who are the Job seekers looking for Jobs they can simply check the official webpage about the cost, online application, informational capacity, last date Jobswalker.com is not responsible for any future changes.